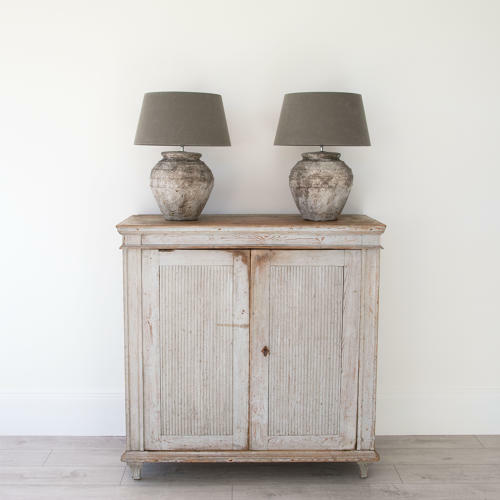 A magnificent 18th century Gustavian period sideboard with reeded doors in completely untouched (not hand scraped) original grey painted surfaces. A very rare find! Swedish circa 1780.